This Friday 13th(!) 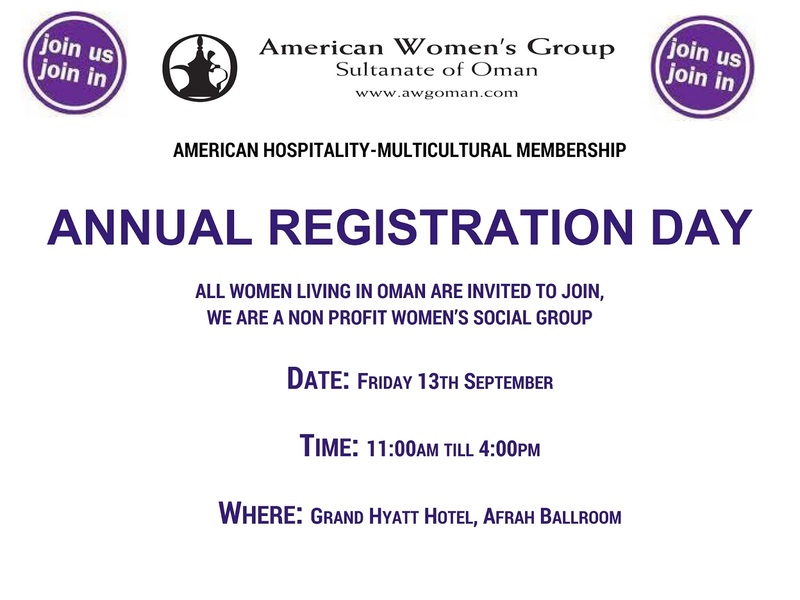 September, there is the annual registration event for the American Women's Group being held in the Afrah ballroom at the Grand Hyatt here in Muscat. It runs from 11AM until 4pm. 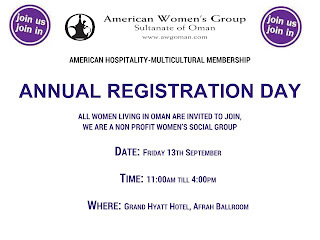 Registration cards are made on the spot and are valid until September 2014 and they cost RO 10 - with membership you get access to a lot of group activities and of course the benefit of discounts across a lot of places around town. You can check their website for more information. You don't have to be American to join..... it's American hospitality, not nationality.